The Air Jordan 5 ‘Bronze’ is the final Olympic themed colourway that released this season. 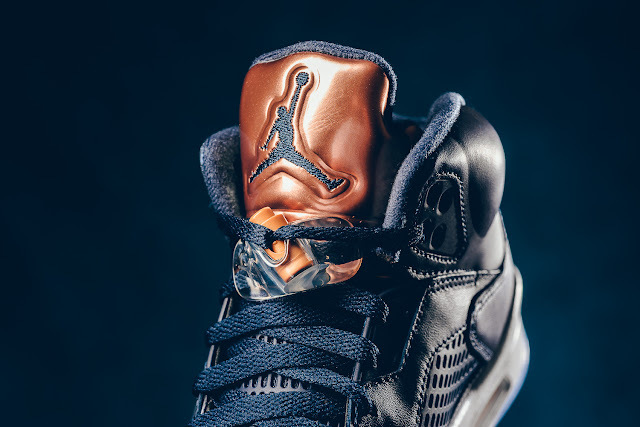 The Air Jordan 5 takes inspiration from the bronze medal that was given to athletes during the Olympic Games. 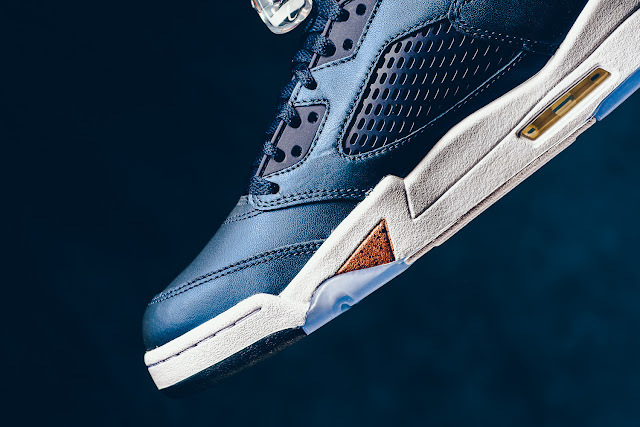 The Air Jordan 5 ‘Bronze’ features a full Obsidian leather upper with more blue hits appearing on the inner liner, the inside of the tongue, side panel mesh netting and the eyelets. Contrasting hits of Metallic Red Bronze meant to resemble the Bronze medal are seen on the tongue, lace-lock and the shark teeth on the midsole. Rounding out the look is a white midsole and an icy blue translucent outsole. 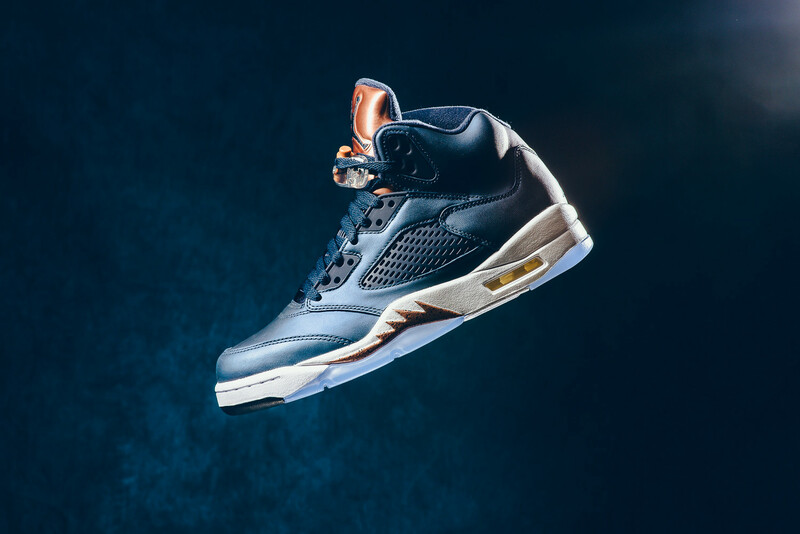 The Air Jordan 5 ‘Bronze’ is available at selected retailers.